According to Forbes magazine, the sixties on the east side of Manhattan is the most expensive zip code in America. From east 60th to 69th on Madison Avenue, there is wall-to-wall luxury. Armani, Cartier, and Hermes rub shoulders with J Mendel and Jimmy Choo. Wealth takes on a whole new meaning. But in the midst of this billionaire neighbourhood, the most coveted gem is Tony’s wagon. 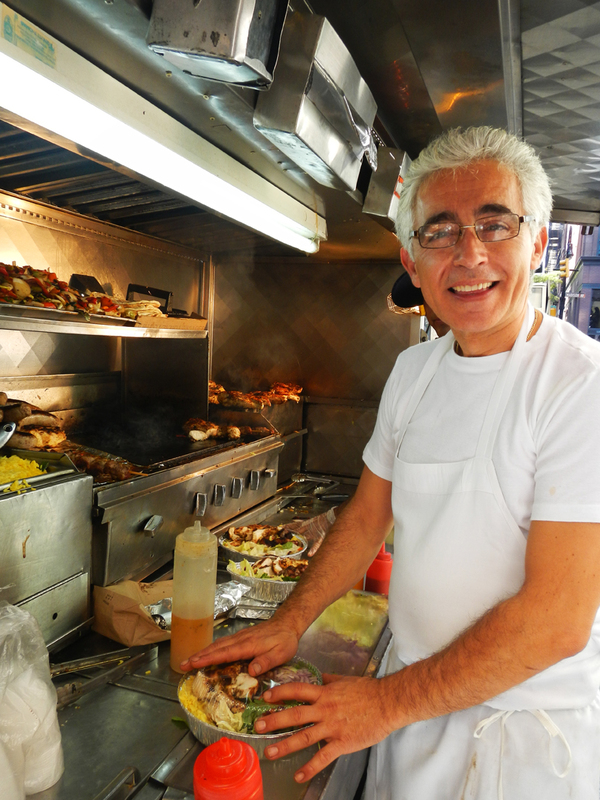 Tony started business on 62nd and Madison twenty five years ago, serving premium Greek specialties from his mobile wagon. This is not ordinary street food. He marinates whole chicken breasts before setting them on the grill, his burgers are 100% beef and they are served with whole portabello mushrooms and cheese. 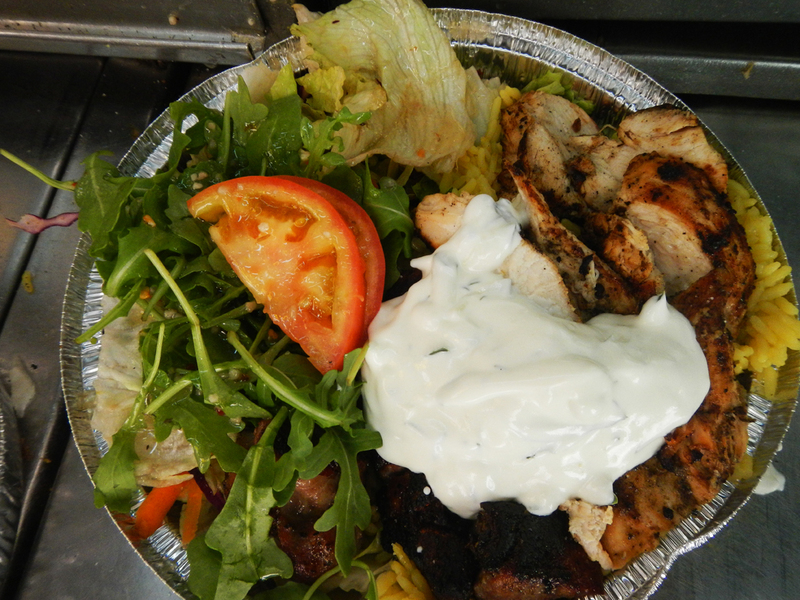 He has charred peppers, onions and kebabs, wrapped in fresh pita with tzatziki. The rice is saffron, the salad is made with rocket and everything is freshly made and very reasonably priced. All the doorman on the upper east side know him, private drivers and cabbies leave their cars idling in no-standing zones to grab their lunch – not that a ticket will ensue because the local constabulary are also in line. Tony opens at about 11.30 and by 1pm the line goes way down the street. He is immaculately groomed, extremely well organised, and chirpy. Why open a restaurant and have all the hassle of tables and chairs when you can just as well invite everyone straight into your kitchen? A few years ago the city decided that it wanted to remove all food vendors from Madison Avenue and apparently the local luxury stores said if Tony goes, we go – our workers need fresh healthy food and we want him to stay. So stay he did. Business is so good Tony takes three months off each year to return to Greece and have a holiday. In his absence his lookalike brother takes over and the legend continues. This entry was posted in Food and tagged street food NYC, Tony's wagon. Bookmark the permalink.